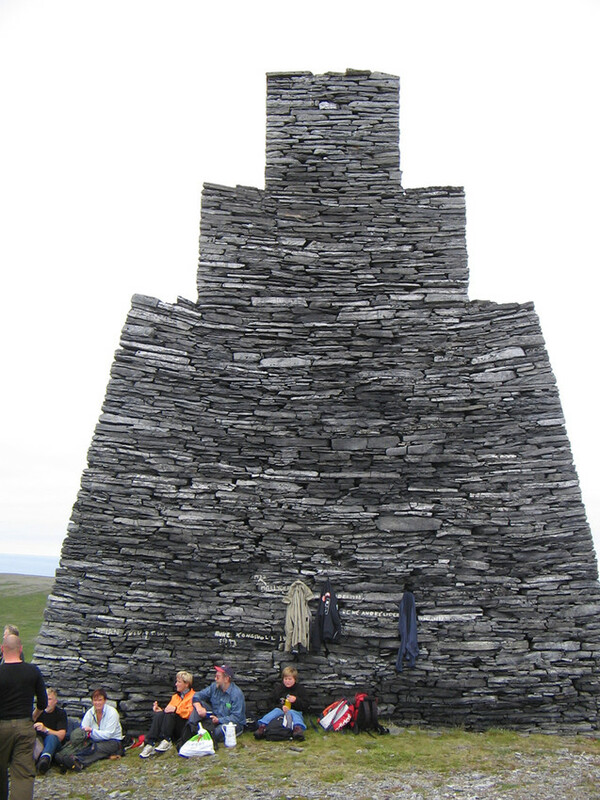 The cairn was built around 1853 by a team from Sunnmøre headed by Ole Gammelsen Mork. The summit soares 12,5 meters above the ground, and Kjøttvikvarden is thus the tallest cairn in the country. The location 320 meters above the sea makes it an easily visible daymark, even from a long distance. The “Fyrvoktervegen” (“The lighthouse keeper’s road”) passes by the cairn on its way to the Tarhalsen lantern. The path was commissioned by the Lighthouse Director in 1931 and built by the local fishermen’s association. It was the only access to the lantern for the man who looked after it. The path has recently been restored, and the spectacular 1,5 – 2 hours hike along the edge of the Barents Sea is highly recommended. Half-way, there is a cabin where accommodation is possible.